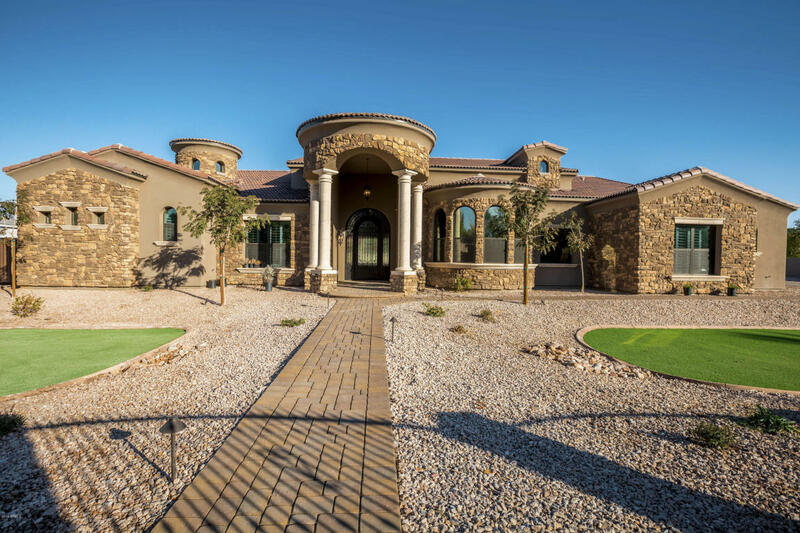 Beautiful Mediterranean home located in south Tempe completed December 2017. This gorgeous custom home offers soaring high ceilings combined w/ an open floor plan designed for everyday living & entertainment. The family room opens to an enormous gourmet chef kitchen w/ lg. island boasting all custom cabinetry & granite counter tops which includes top of the line 72''Sub-Zero/60''Wolf/appliance pkg. This magnificent home has marble floorings, oak wood floorings in bedrooms, sauna in master Shower, dual stack washer/dryer, wine room, and coffer ceilings. No expense was sparred. The outdoor living will offer a putty green, play pool with fire woks, a gazebo w/ fireplace and a built in BBQ. On top of all the amenities this property has to offer. This home includes a 1000/gal propane tank, 15.96 KW solar system which includes a 20.8 kwh energy storage battery, and a gated front and side entry.